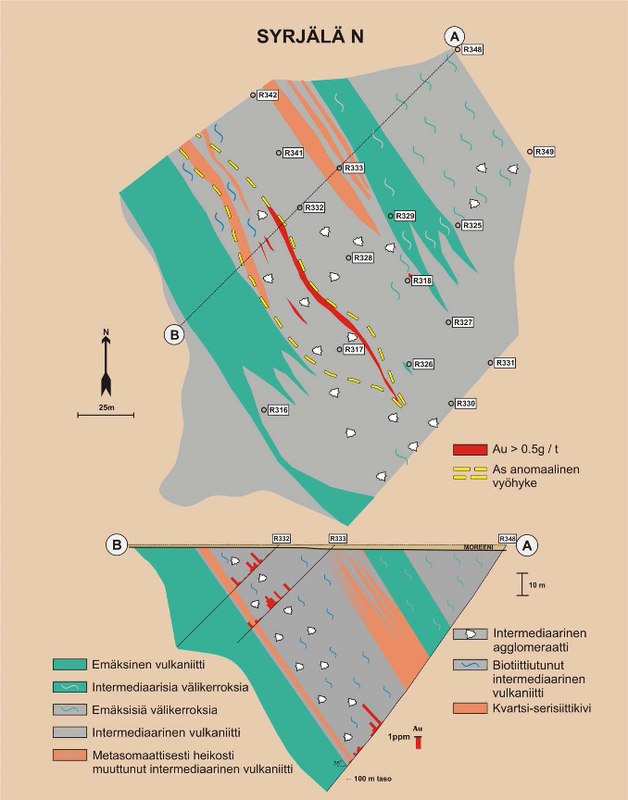 Kuikka and Syrjälä is a group of ore prospecting licenses and notifications (Kivelaä) is located in the southern part of Suomussalmi greenstone belt. Total claims area is 14 sq.km. Location: The nearest railway station and communal centre, Suomussalmi, is about 40 km to the south . The closest airports with flight connections to/from Helsinki are Kuusamo, about 115 km to the north and Kajaani, about 145 km to the south. 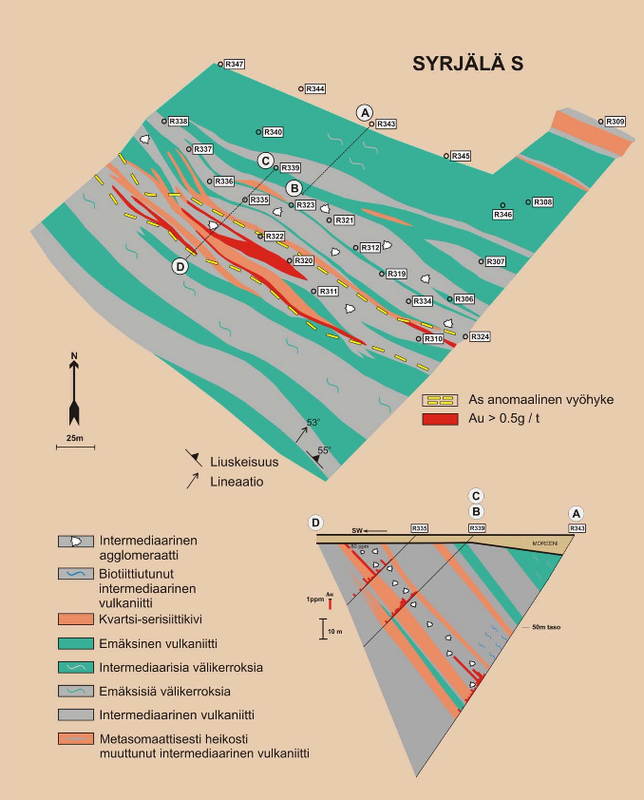 The licenses area includes few drilled gold occurrences – 2 Kuikkas, Syrjälä North and South. 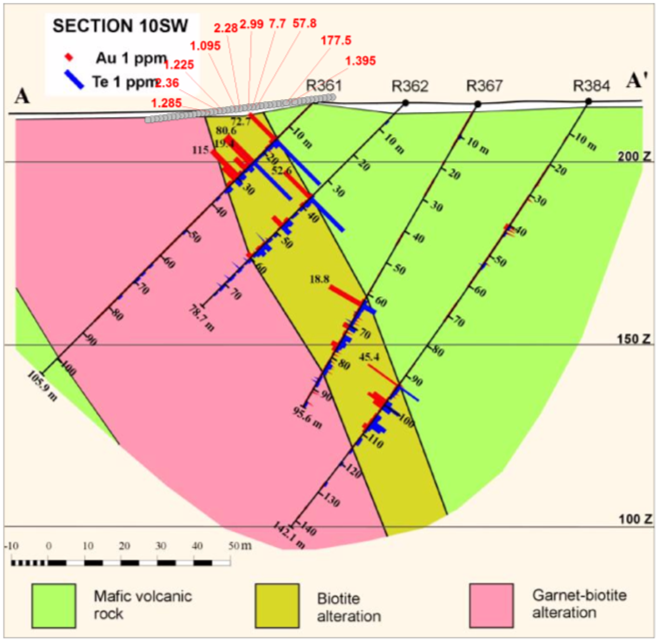 In the Syrjälä area agglomerates and volcanic breccias accompany basalts and the mineralisation occurs in narrow mylonitic alteration zones with biotite and quartz. The rocks have been folded and foliated with a strong lineation plunging east and northeast. Northwest and southwest trending shear zones and joints cut the axial plane foliation and the mineralized zones. In 2013 MEN (Finland) carried out an intensive field work within the area. Based on results Syrjälä license group considered to have a great exploration potential.